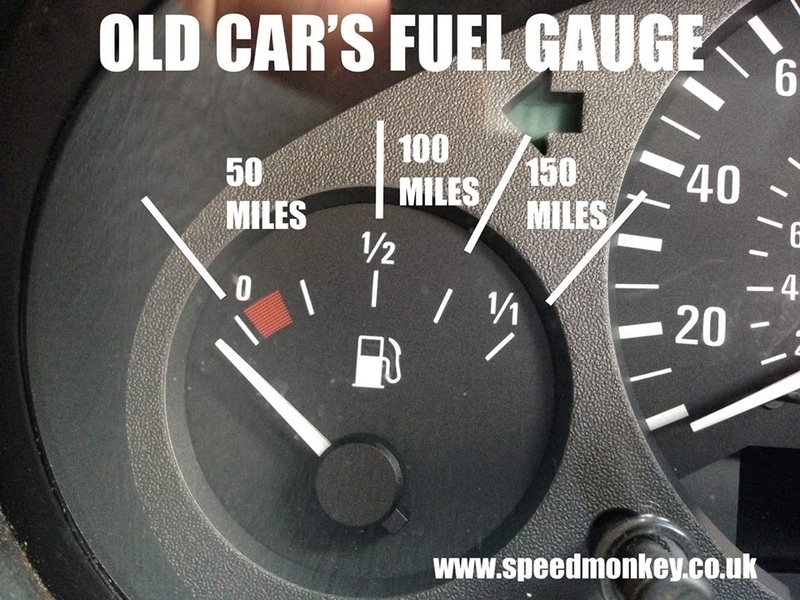 Speedmonkey: Why Do Old Car's Fuel Gauge's Do This? Why Do Old Car's Fuel Gauge's Do This? Nowadays the fuel gauge on new cars is pretty accurate. Half full generally means it's half full of petrol (or the devil's juice (diesel)).